Like what you read? Then LIKE Us! A Sustainable LIFE has a new feature…a Facebook Like button. The Like button allows you to share blog content with your friends on Facebook. So if you read something that you think is cool (and I know you do) and you want to share it, click the Like button. 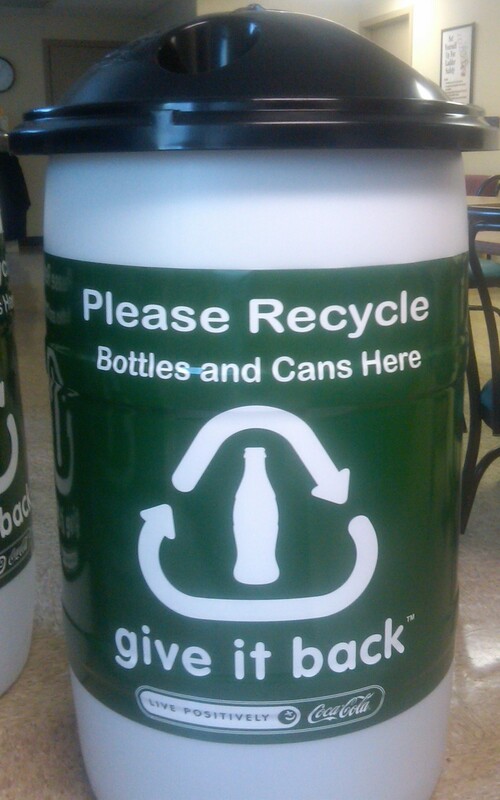 The Office of Sustainability is proud to announce the arrival of outdoor recycling bins for bottles and cans. 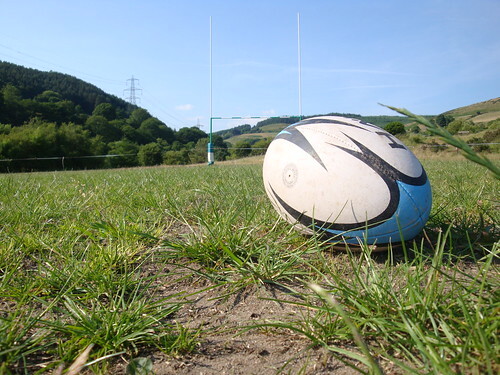 As the sun shines brighter and temperatures rise we will all be spending more time outdoors. These outdoor bins make recycling more convenient for the entire campus community. Please remember you can also bring your cans and bottles from home! Where do you spend most of your time on campus? Is there a new recycling bin there? If not, let us know. Tuesday’s blog post about LIFE’s Toner Recycling Program is being featured on EcoPressed.com. EcoPressed is described as a portal highlighting the best environmental blogging across the WordPress (our blog host) community. EcoPressed is edited by Eliza Sarasohn, a blogger, as well as the author of “The Complete Idiot’s Guide to Organic Living,” a collection of tips and advice for living lighter on the planet. LIFE’s Toner Cartridge Recycling Program rewards departments that return used toner cartridges to the Office of Sustainability. Each month participating departments will be entered in a drawing to receive a “prize” for the office to share. Congratulations to the Library and the Natural Science Department our latest prize winners. For those departments that have yet to participate, it’s not too late! Simply contact Shannan George, Sustainability Coordinator, Shannan.George@life.edu; x4339 for pick-up when you change toner cartridges. Its that simple. Dear Earth Talk: How healthy is soy? I heard that, despite its healthy image, most soy is grown using chemicals like other crops and is even being genetically modified. Upwards of 90 percent of the U.S. soybean crop is grown using genetically modified (GM) seeds sold by Monsanto. These have been engineered to withstand repeated dousing with the herbicide, glyphosate (also sold by Monsanto and marketed as RoundUp). According to the nonprofit Non GMO Project, this allows soybean farmers to repeatedly spray their fields with RoundUp to kill all weeds (and other nearby plant life) except for the soybean plants they are growing. The fact that genetically modified soy may be present in as much as 70 percent of all food products found inU.S.supermarkets means that a vast majority of Americans may be putting a lot of GM soy into their systems every day. And not just directly via cereals, breads and pasta: Some 98 percent of the U.S. soybean crop is fed to livestock, so consumers of meat, eggs and dairy are indirectly ingesting the products of scientific tinkering with unknown implications for human health.